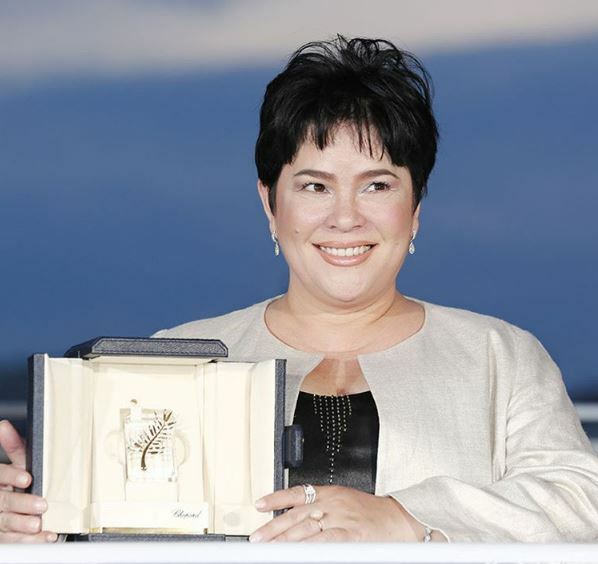 MANILA, Philippines- Filipina TV actress Jaclyn Jose bagged the best actress award at the recently concluded Cannes film festival on Sunday, May 22 for her portrayal of a small time drug dealer and sweetshop owner in the film Ma’ Rosa. The 52-year-old actress had an emotional moment as she took to the stage to receive the prestigious award. She now joins world renowned actresses such Meryl Streep, Sophia Loren, Julianne Moore, Bjork, Helen Mirren, Bette Davis, Katharine Hepburn, Vanessa Redgrave and Anne Bancroft in the Cannes circle of Best Actress winners. In her speech, a surprised Jose thanked the members of the jury as well as award-winning director Brillante Mendoza. According to Jose, she had to forget everything she learned in her 30 years in Philippine show business to play the role in Mendoza’s gritty film. It was indeed a dramatic change for Jose who said she had to “tone everything down to zero” in order to effectively portray the role of a mother forced to sell illegal drugs to make ends meet. Ma’ Rosa also stars Julio Diaz, Felix Roco, Jomari Angeles, and Jose’s daughter Andi Eigenmann. The versatile veteran actress is a daughter of a Filipina and an American serviceman. She starred in comedies, dramas, romances, and horror stories in various TV soap operas and films. Watch the trailer of Ma’ Rosa.